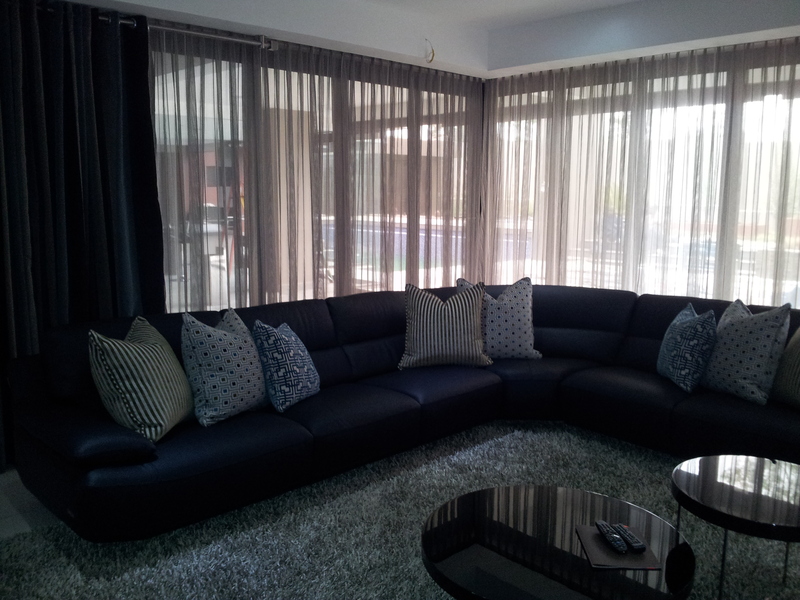 Inside Out Interiors are one of the pre-eminent Interior designers in Pretoria. While consulting with clients in Pretoria, the availability of showrooms from the leading fabric houses in the area, enable the design process to unfold quite easily. Our expert installation team are fully equipped to handle out of town installations of any scale. Whether you are situated in Silver Lakes, Waterkloof, Mooikloof, Brooklyn, Lynnwood, Faerie Glen or even Cullinan we will be able to assist you with all your décor, renovations, curtaining and furniture needs. Allow Inside Out Interiors to come into your space and give life to YOUR ideas. When it comes to fabrics, the sky is the limit as to the choices that we have. Damasks, jacquards, plains, embroideries, statement florals, silks, sheers, toilles….. Confused? Frances will help you to establish your needs in this area, be it for upholstery, drapery or dual purpose fabrics. Our choices are often budget based but quality should never be compromised. Many ranges also include fabrics that focus less on price but more on glamour, being exclusive and of course more luxurious. Inside Out Interiors has an outstanding working relationship with the leading fabric houses. Clients in the Witbank, Middelburg, Pretoria and Groblersdal area will have access to Home Fabrics, Hertex, Fabric Library, U&G, Design Team Fabrics and Stuart Graham in Pretoria. These fabric houses have both locally made and sourced fabrics as well as imported, luxury fabrics.